Celebrate your freedom in Dublin, Ohio this 4th of July! 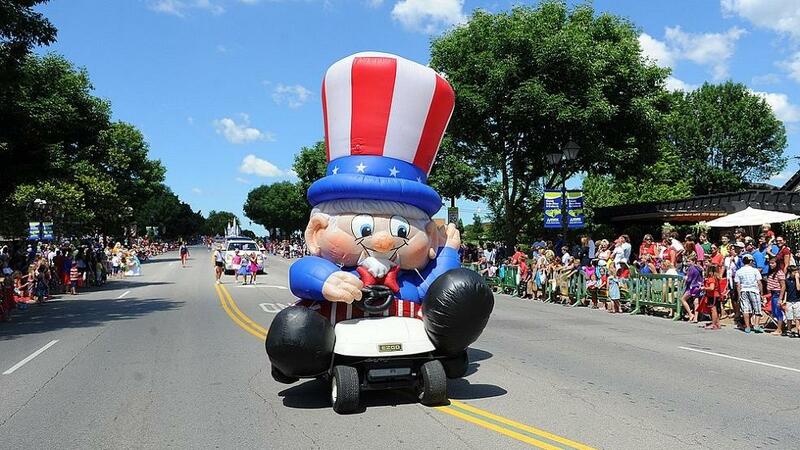 Festivities begin early at 8 a.m. with the annual Sherm Sheldon Fishing Derby held at the Dublin Recreation Center pond, then the Inflation Celebration in Metro Center begins at 9 a.m. kicking off the Independence Day Parade. Locals and visitors alike line the streets of Downtown Dublin for the annual Independence Day Parade to watch giant inflatables, bagpipers, Irish dancers, floats, marching bands and more. After the parade the celebration continues at Dublin Coffman High School for an evening of fun and games. Enjoy live entertainment on stage and good company around you throughout the evening as you wait for the fireworks show starting promptly at 9:50 p.m. This event is first come first served so get there early to secure the best seat in the stadium. 8:00 a.m.: Annual Sherm Sheldon Fishing Derby, Dublin Community Recreation Center, 5600 Post Rd. 9:30 a.m.: Inflation Celebration, Graeter's Ice Cream, 6255 Frantz Rd. 11:00 a.m.: Independence Day Parade, Historic Dublin, 1 W. Bridge St.
5:00 p.m.- 9:00 p.m.: Live music and entertainment including headliner, Michael McDonald and Chaka Khan!, Dublin Coffman High School Stadium, 6780 Coffman Rd.